England, Ireland and Isle of Man Photos - This is it! Dozens of photos from the Isle of Man TT Races - the most revered two-week festival of speed in the world. 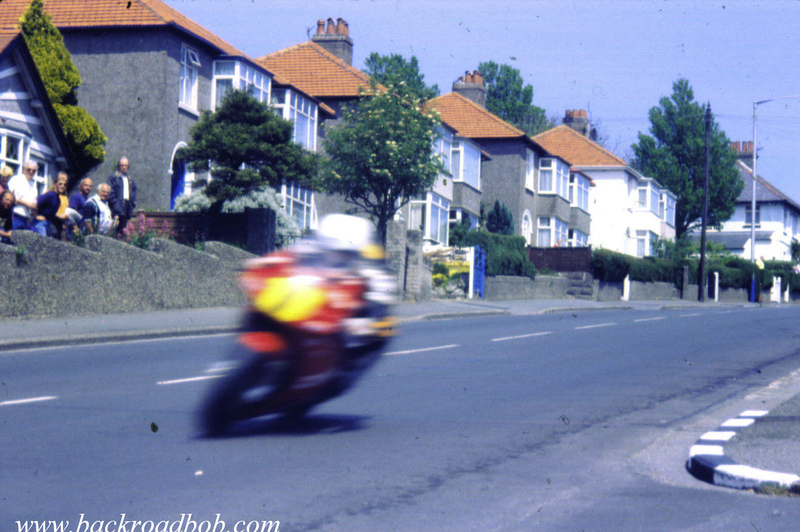 No where else can you see the 150-mph run down bumpy and crowned Bray Hill, three feet in the air at Ballaugh Bridge, racing over Snafell Mountain, and flat out at nearly 200 mph down Sulby Straight. Add shots of the stunt rider shows, the eighth-mile drags, the Ramsey bike show, Mad Sunday, the crazy crowds, and the nightly smoky burn outs on Douglas' Queen's Promenade and you've got something that's not to be missed. Included are shots of the most successful and most modest TT racer of them all - Joey Dunlop, plus his supporting cast of the bravest club racers in the world. In addition, bonus photos of England, Ireland, and Scotland are included. YEA, I WAS THERE - WERE YOU?